【C】 SUPPORT All your Characters in front of this card get +1000 Power. 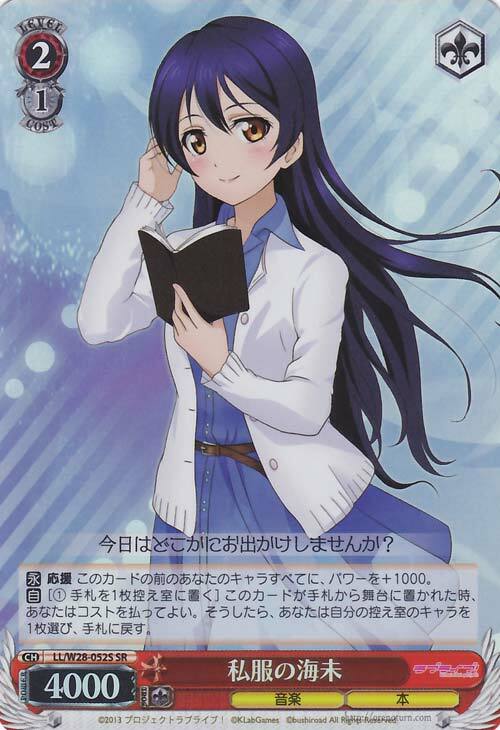 【A】［① Place 1 card into Waiting Room from Hand］ When this card is placed on Stage from Hand, you may pay the cost. If you did, choose 1 Character from your Waiting Room, add it to Hand.